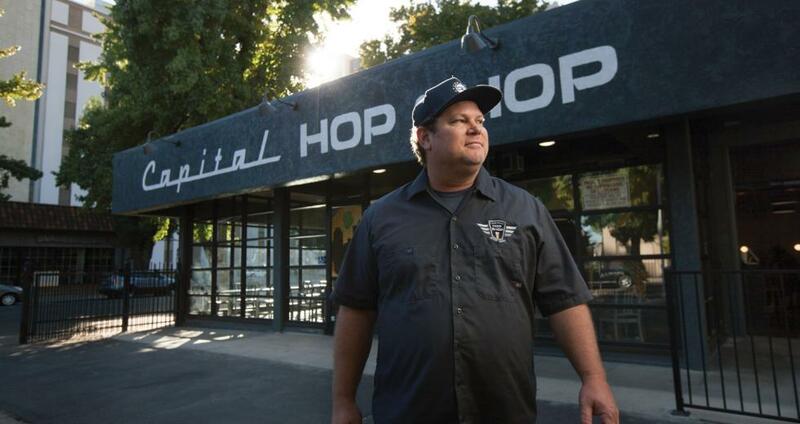 When Glynn Phillips purchased Rubicon Brewing Company in 2005, it was one of only five breweries operating in the Sacramento area. Fast forward 12 tumultuous years and the total number of area breweries is approaching 60, with over a dozen new ones set to open later this year and in early 2018. Still, even as Sacramento craft beer exploded, the scene on the central city’s grid was slower to evolve. New breweries began embracing the tasting room model over the Rubicon-style brewpub model, eschewing foot traffic concerns by opening in low-overhead industrial areas and nondescript business parks. Food trucks replaced kitchens, and doors that swing open were replaced by doors that roll up. As for beer bars, a few key players raised the craft beer game on the grid — Midtown Biergarten, for example, which opened on K Street in 2014 — but most top performers chose to operate outside of downtown and Midtown. A long-running law against selling single bottles on the grid, originally intended to discourage drinking in public, ultimately discouraged businesses from duplicating the beer bar/bottle shop hybrid popularized by Pangaea, Final Gravity, and others. But that tide is starting to turn, as local beer all-stars and upstarts alike are migrating back to the grid, while even out-of-town breweries such as Fieldwork and Anheuser InBev-owned Golden Road search for a slice of Sacramento’s muscular market share. The recent “cash flow”-related closure of Rubicon inspired apocalyptic talk about brewery oversaturation and a bursting “craft beer bubble,” so why are breweries and beer bars embracing the grid again? And how will they carve out a niche in an increasingly crowded marketplace? Capitol Beer and Taproom is known more for the uncompromisingly-curated tap lists than for the décor, but Capital Hop Shop raises the game in every way. Renovated from an old auto shop, the new location has twice as many taps, a more spacious outlay, and a full food menu. Even the hand-drawn chalkboard tap lists are gone, replaced by sleek and modern digital displays.